Local foodies will be happy to learn that there’s two new Fork 2 Farmer films to watch set in North Carolina. 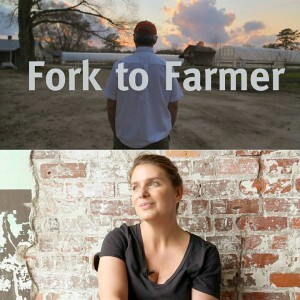 Spring’s Lenoir County film features Vivian Howard, James Beard Award-winning chef of Kinston’s Chef + The Farmer and star of PBS’ “A Chef’s Life” plus beloved lifelong farmer, Warren Brothers of Brothers Farm. 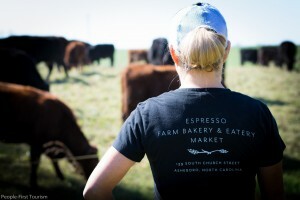 Summer’s newly released Randolph County film is set in Asheboro, NC, featuring restaurateur Dustie Gregson and chef Deanna Clement of The Table Farmhouse Bakery alongside Tom and Janice Henslee, grassfed beef and organic vegetable farmers of Back to Earth Farm. This initiative is led by NC State Cooperative Extension economic development, local food, and tourism specialists at the P1t Lab, that leverages the high visibility of famous chefs with a record of supporting local farmers, in order to increase visits to local farms and diversify farm income. Fork 2 Farmer partners with county tourism divisions and extension offices to produce short videos about well-known farm to table chefs and the small family farmers that supply their restaurants. So far, four videos featuring chefs and farmers in four counties have been released, and two more are in post-production. The latest iteration takes place in Asheboro, Randolph Co., and sheds light on the need to buy local in order to bring about economic prosperity in the community. “Growing together” is the title of this story about the symbiotic relationship between local restaurant The Table and pastured beef Back to Earth Farm. The Fork 2 Farmer team worked with the farm owners in the crafting of two genuine farm experiences available for purchase through the People-First Tourism website.